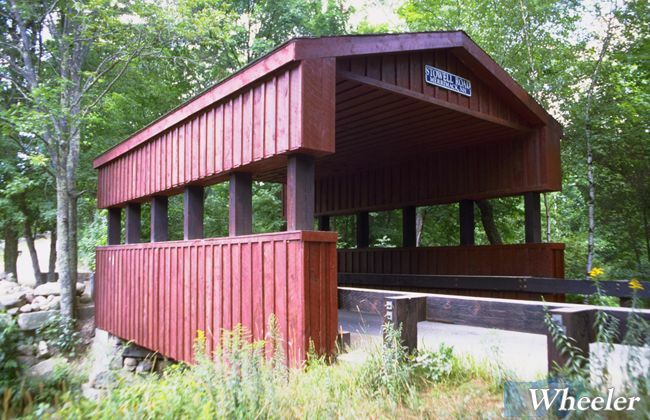 Wheeler’s covered vehicle bridges are designed using modern technology with the charm of earlier times. 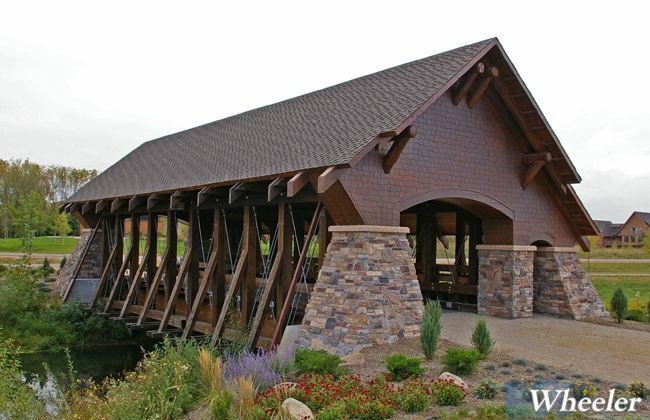 Communities and developers are discovering the value of adding a dramatic focal point in their projects. 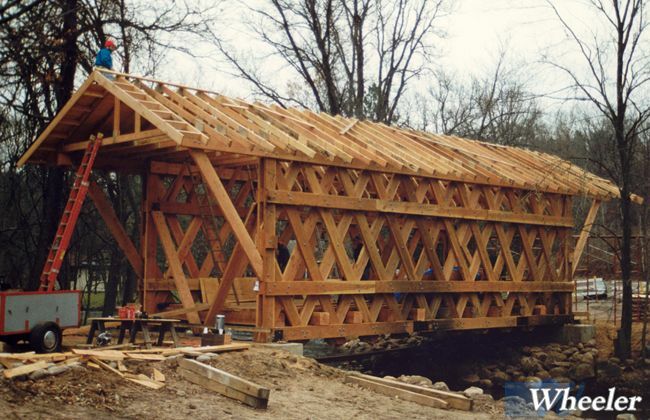 By turning an average crossing into a covered bridge they expand from utility to an architectural statement. 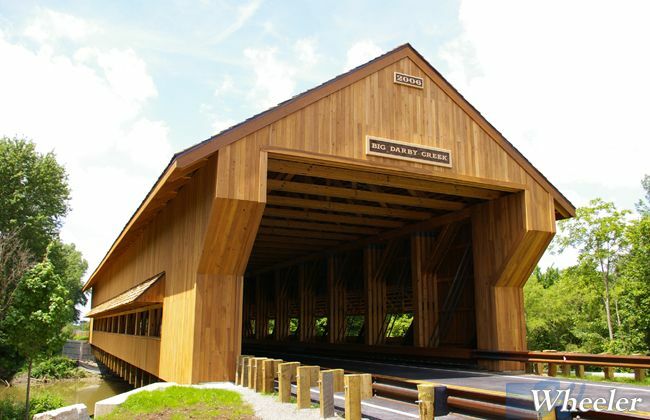 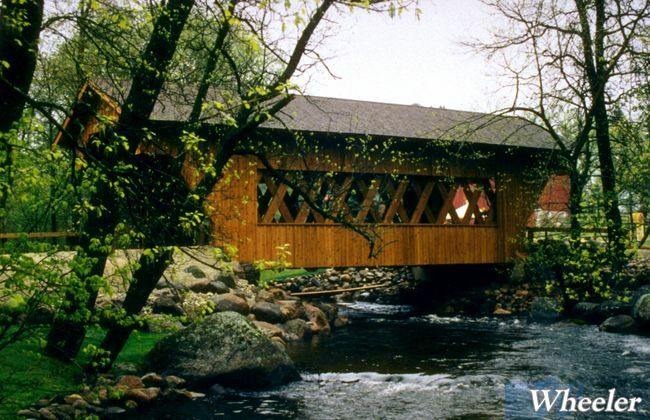 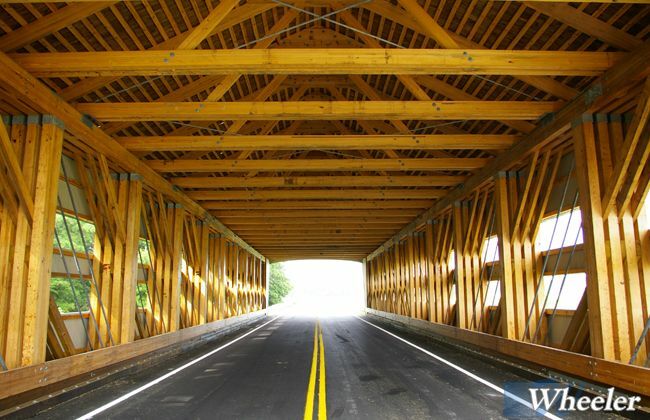 For developers, the investment in a covered bridge sets their project apart. 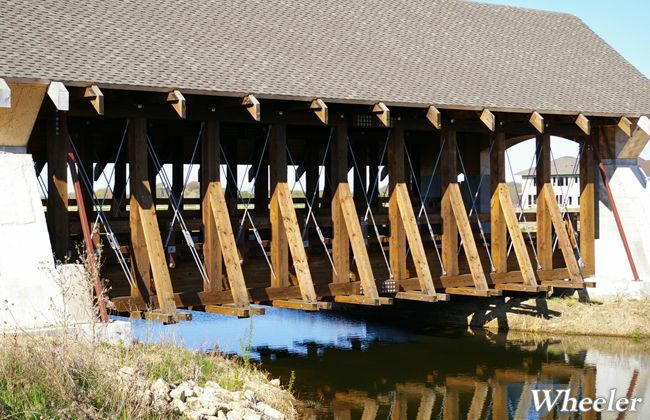 This can mean higher returns on their property. 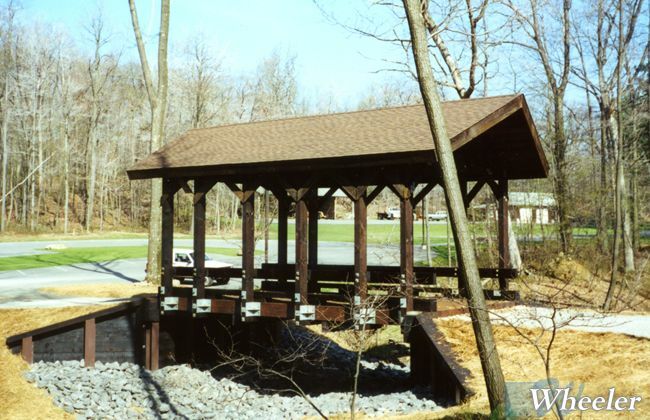 For communities, a covered bridge adds a signature on their quality of life. 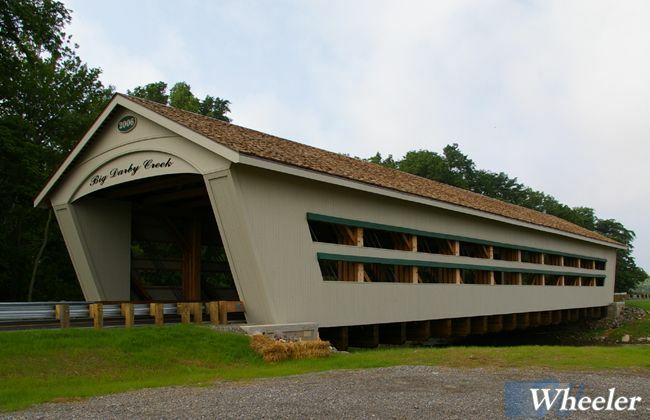 Covered bridges can take many forms. 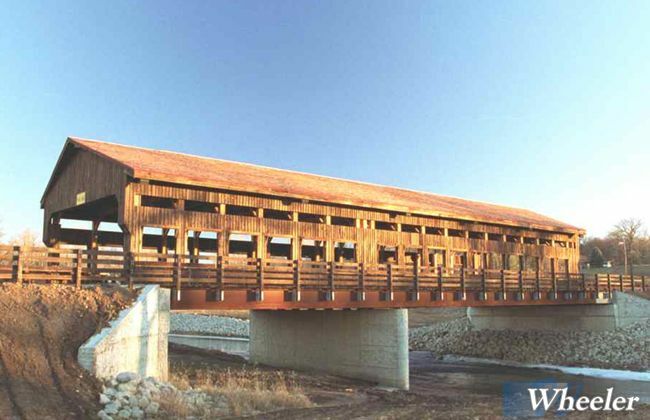 Wheeler balances modern bridge design with historic elements to create a modern antique. 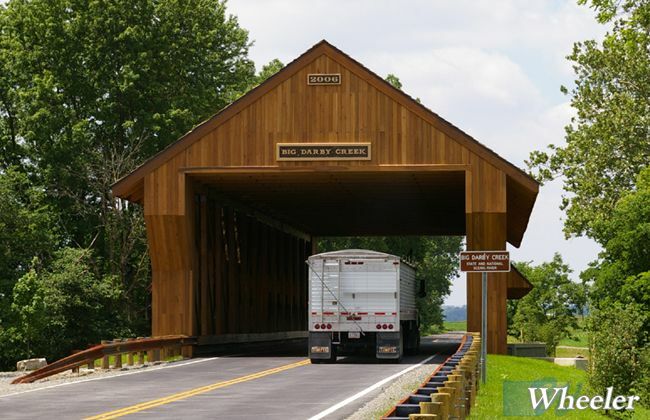 The bridges are designed to accommodate all typical highway loads, including large trucks. 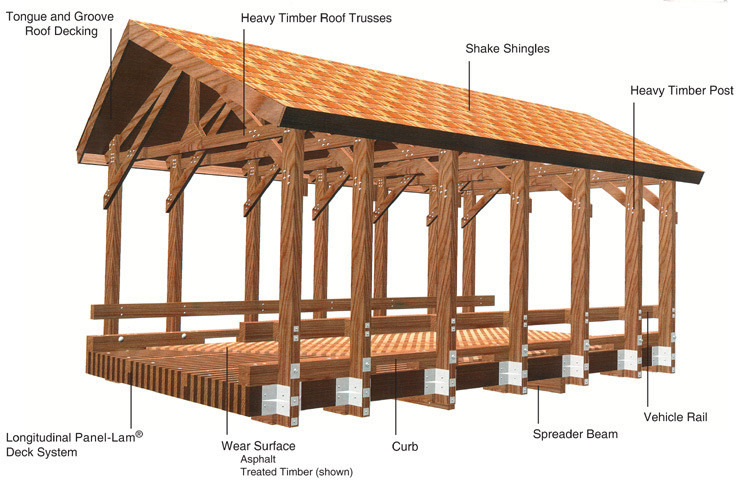 Detailed plans are provided for review. 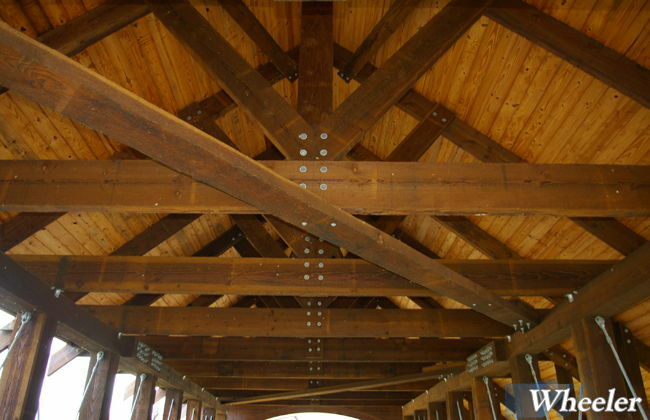 Most components are shop manufactured for easy site assembly.